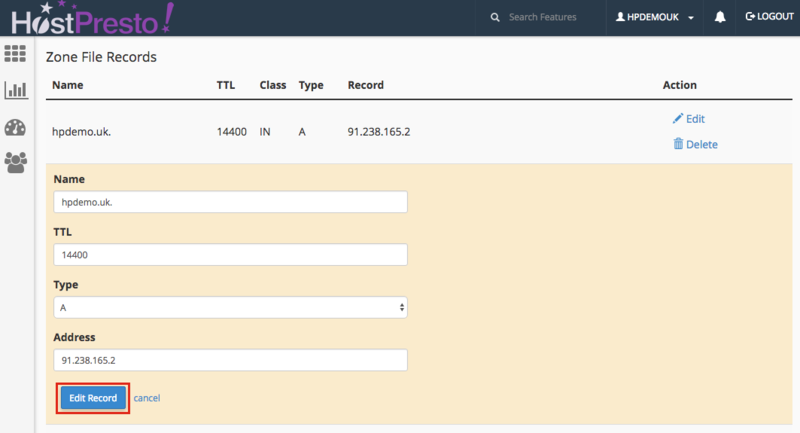 In cPanel you can make changes to your DNS zone records such as A records and CNAME Records. The following article helps explain how you can do this. In the 'Domains' section, click onto 'Advanced Zone Editor'. Select the domain that you wish to edit from the drop down menu. Scroll down to the 'Zone File Records' section and choose 'Edit' on the respective record that you wish to change. Make the respective changes and then select 'Edit Record' button to complete the change. The editing DNS zone process is now complete.